Shoujo manga is one of the most popular styles of Japanese animation, featuring the most recognizable characters in manga-seen everywhere in comics, books, toys, television, film, and video. Since shoujo is based on stories that focus on peer pressure, romance, and friendship, it initially appealed to young females, but today more and more boys are attracted to this genre, which inevitably includes young male heroes. 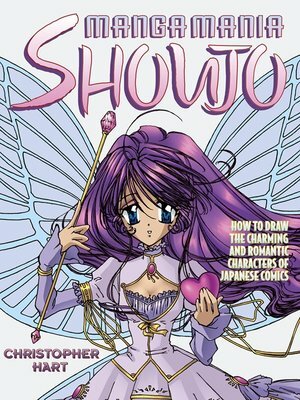 Best-selling author Christopher Hart once again reveals the secrets and techniques that go into building all the basics of the shoujo style-the big eyes, the miniscule noses, and the cute or angst-ridden expressions. Teen body language is explored. In addition, artists learn to draw teen clothing styles and also different character types, from school kids and cuddly creatures and cute pets to heartthrobs.